I've got the destination worlds now as I also have the worlds in jump range. 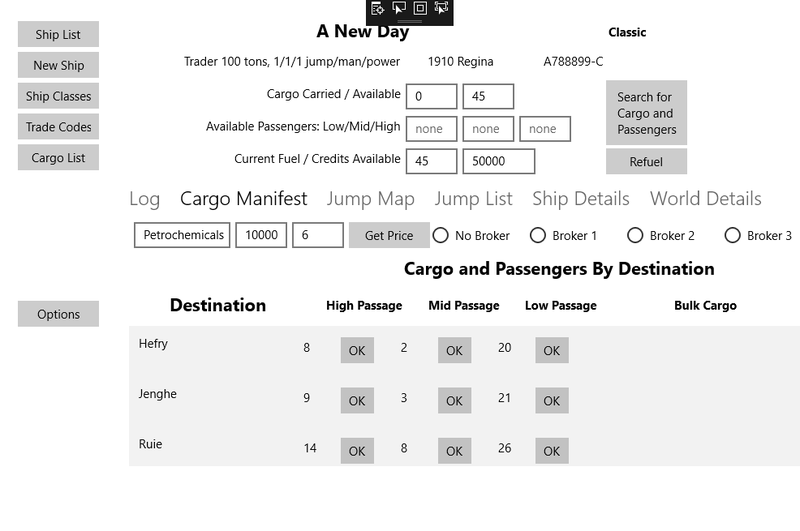 I've hard-coded book 2 rules for the cargo and passengers - I may pull that out to be version specific as well, although I think the tables are similar enough in all the systems. I've not done anything with the buttons next to the passengers, and I need to verify that the numbers are correct - the high passage looks off. I may also have to check my d6 routine to make sure it is really giving back random numbers.